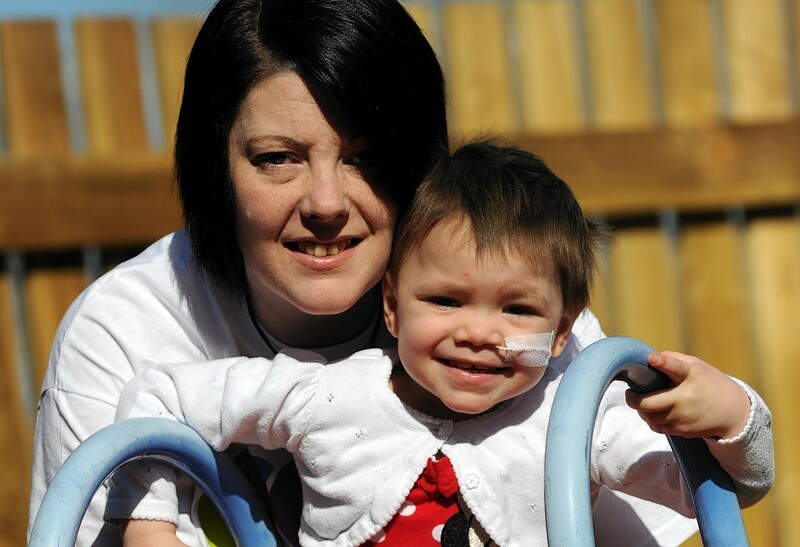 The mother of a toddler seriously ill with cancer says she still has reasons to be thankful – despite the family today marking the “painful” anniversary of her girl being diagnosed with the disease a year ago. Eileidh Paterson, three, was diagnosed with a high-risk form of childhood cancer on May 9, 2014, and has spent the past 12 months enduring often agonising treatments. The youngster will begin her final block of immunotherapy tomorrow with her treatment soon to end. Her mum Gail Paterson recently launched an appeal to raise £100,000 so Eileidh can go to America for pioneering medication that could reduce the chances of the disease returning. Ms Paterson said she had been “astounded” by the support of kindness and others, which had seen her through the toughest of times. Since launching Eileidh’s Journey campaign last month the north-east has united and donations have come in from across the globe. Almost a third of the money required has now been raised. Ms Paterson, 39, yesterday said: “I’m dreading the anniversary, and I’m not sure how I will deal with it. “The year has gone quickly but it feels like forever at the same time. “This time last year we were just a normal everyday family but now cancer has become normal for us. “But we’ve been astounded by how this has brought a huge community together. Eileidh’s condition, High Risk Neuroblastoma carries an estimated 80% risk of relapse and drugs to prevent its return will not be available in the UK until next year. Aberdeen youngster Anthony Higgins was so moved by Eileidh’s appeal that he emptied his piggy bank and donated the £40 inside to the campaign. His mum, Midelle Thomson, said the eight-year-old Walker Road Primary pupil offered his coin collection after overhearing his auntie talking about Eileidh. Ms Thomson explained: “Anthony is very caring and as soon as he heard about Eileidh he asked to donate his savings to her fund. Ms Paterson added: “What Anthony did was so sweet, and it means a lot to us that people like him have taken Eileidh to heart. Donations can be made via www.justgiving.com/EileidhsJourney or by texting EPAT88 with a sum between £1 and £10 to 70070. Details of fundraisers are available on the Eileidh’s Journey Facebook page.